The smart, compact, efficient and stylish 2014 Ford Transit Connect returns to Phoenix with a brand new design to tantalize small business owners and fleet managers alike. Transit Connect can haul more payload than a full-size Ram 1500 truck while saving big bucks at the pump. 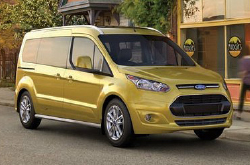 In fact, the 2014 Transit Connect beats all other commercial vehicles in this American hemisphere with its 30-plus highway mpg ratings garnered by Ford's EcoBoost technology. The versatile Transit Connect offers two different wheelbase lengths in XL and XLT models and two engine choices: the standard 2.5-liter or the 1.6-liter EcoBoost, each with a six-speed automatic transmission. The 2.5-liter engine is also available with a CNG/LPG preparation package, allowing conversion to alternative fuel use. With best-in-class maximum payload, best-in-class cargo space and best-in-class towing, it's hard to go wrong with a Transit Connect! Make it your own with a wide variety of option packages for rooftop ladder racks, storage cabinets or drawers, dividers, double floors and more. Overhead storage up front is perfect for that paperwork or ubiquitous toolset you need to get your hands on most frequently. For the rest, easy access is offered on both sides by dual sliding doors. XL and XLT models also offer the option of rear cargo doors or a liftgate. Fleet management is a breeze with the available Crew Chief system which monitors multiple vehicles in the field in real time - gathering speed, location, idle time and other fleet vehicle data. Available SYNC technology keeps you in touch with your field crews, also allowing mobile unit drivers hands-free communications , 411 business search, and turn-by-turn direction services to keep them on-track and on-time. 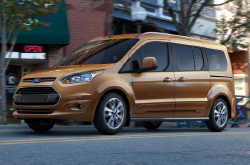 Find out more about the 2014 Transit Connect below, or contact Peoria Ford for detailed information on customization packages, pricing, financing and commercial vehicle lease programs for Ford Transit Connect in the Phoenix metro area. We're condifent that the Transit Connect is the perfect fit for you. That's why we urge you to compare Ford's most current model head-to-head with the 2014 Nissan NV, RAM Cargo, Chevy Express, Mercedes Benz Sprinter and the Ford Econoline. With progressive features and an attractive design, shoppers will love the Transit Connect. When comparing its price to the vehicles listed above you will definitely see that Phoenix Ford customers select it because it's a truly amazing value. Take a look at our bullets for more details about its vehicle specs! Thanks for choosing Peoria Ford as your resource for 2014 Ford Transit Connect reviews and comparisons. It's our responsibility to equip reviews created by the top automotive writers in the business - it's just one of the things that makes us a leading Phoenix area Ford retailer. 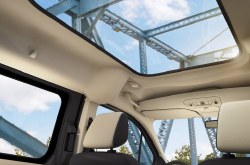 To make educated decisions when it comes to your next Ford purchase, don't guess! Each passage is up to the hilt with material, including info about vehicle features, in an easy-to-understand page layout. Now that you've learned all about the 2014 Transit Connect, we'd love to talk; call us today to learn about great short-term lease offers and make an appointment for a test drive!